Black Coffee finish on select hardwoods and veneers. The dial features nickel-colored Arabic numerals with white background. 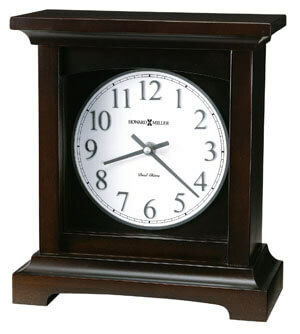 You will save $144.90 (30 %) on this Howard Miller Urban Mantel II 630-246.